When injured in a car accident, the recovery process can take a large toll financially and emotionally on the victim and the victim’s family. Medical bills can quickly build up and the injury victim may not be able to work while recovering from the accident. The family may be wondering where will the money come from to pay for all the medical expenses. 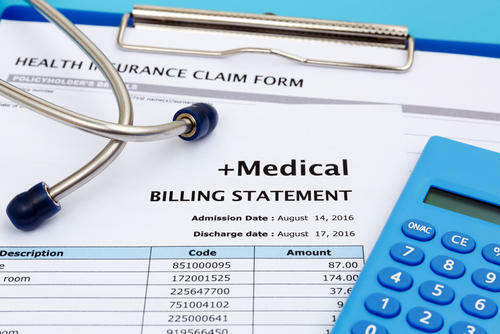 Medical expenses can begin to accrue immediately following treatment in an auto accident. However, an accident victim may require multiple visits to the doctor or hospital following initial treatment. Depending on the severity of the injury involved, it is very possible that the victims will have to continue with follow-up or ongoing medical care, for months or years to come. Keep in mind, if you were seriously injured in a car accident some of your medical expenses can continue to pile up for months or even years. New Hampshire is a “fault” state, which means that the motorist “at-fault” for an accident may be held liable for the injuries and damages they cause. Victims of negligent drivers must prove who was responsible for the accident in order to pursue compensation for losses—including compensatory damages for medical bills. All of the above, as well as any receipts pertaining to any other medical expenses incurred due to your car accident are critically important to pass on to your personal injury attorneys. At Tenn And Tenn, P.A., we help our clients work with their medical providers and can sometimes provide a “Letter of Protection.” A “Letter of Protection” means that the medical provider has agreed to defer collecting payment on your medical bills until the personal injury claim is resolved. Our experienced injury attorneys have a long history of protecting the rights of injured clients. We have been helping injury victims recover compensation for their losses for over two decades. Serious injuries can cost you tens of thousands, if not hundreds of thousands of dollars in medical expenses. At Tenn And Tenn, P.A.we are skilled at pursuing fair compensation for your injuries. Contact us today for a free injury consultation.